Bakewell's strong connection with agriculture is emphasised every August when the town hosts the largest tented agricultural event in the UK, also one of the oldest and is often known as the 'Little Royal' . The two-day event attracts around 65,000 visitors to the showground, which is sited in a beautiful location close to the banks of the River Wye. The year 2010 marks the 180th anniversary of the Bakewell Show. Although the first Bakewell Show was held in 1819 (186 years ago), the 1883 show was cancelled due to Foot and Mouth. From 1915-1919 the shows were cancelled because of the 1st World War and again from 1940-1945 because of the 2nd World War. Despite foot and mouth, it continued in a modified format in 2001. 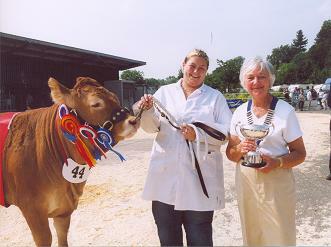 Bakewell show has evolved over the years from its purely agricultural origins, when local farmers and the gentry competed for titles to fill a much wider role. It is now a major agricultural and horticultural event with a wide range of animals on show along with show jumping and exhibitions of local crafts and produce. 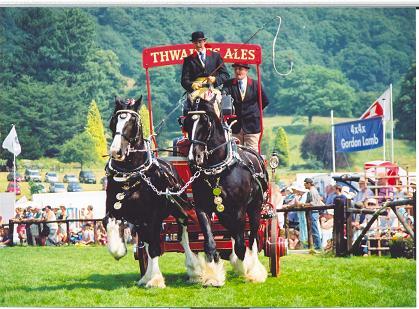 Set in the picturesque Wye Valley, the event offers the perfect day out for the whole family, with the very best of shopping, food, flowers, crafts, country pursuits, equestrian competitions and arena displays. There are normally over three hundred trade stands. For more information visit the Bakewell Show website (see side column). Provides a wide range of features on towns and villages with heritage trails and detailed countryside walks, through some of the most scenically attractive countryside in the UK. The site is expanding to include many other features of interest to the local person and visitor alike. Click here for more information. Why not bookmark this site for future reference. Dates: Wednesday 4th & Thursday 5th August 2010, with some horse classes taking place on Tuesday 3rd August 2010. Times: The gates open for the 180th Bakewell Show from approximately 8.30 am until 6.30 pm approx. All the images have been kindly supplied and are the copyright of Bakewell Show. Set in an enviable location on the banks of the River Wye, in the heart of the Peak District, is the picturesque old market town of Bakewell. It is a great place to start a walk. Read the features and take a walk in beautiful countryside.